Why is Google+ Local important to me? Consumers are using local search to find services in their area, are they finding you? 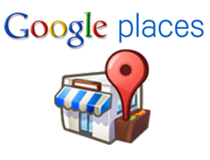 If your Google Places ranking is low or non-existent, we will get you where you want and need to be… in the lead. Client Exclusivity. You choose us, we choose you. Call us today at 305.918.2126, or simply Request an SEO Audit to further understand your options.